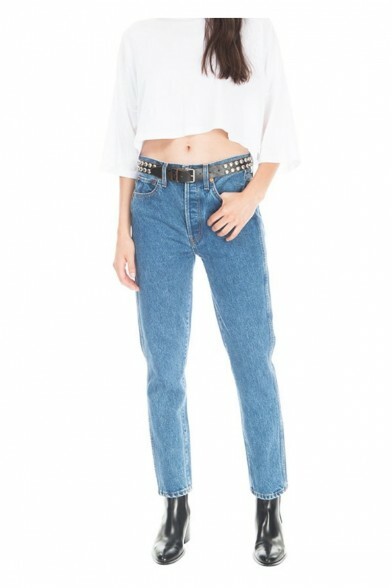 Re/Done High Rise Straight Cropped Jean covers your belly button, while exposing your ankle. 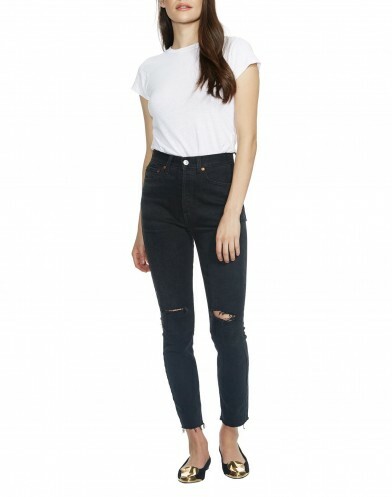 The calf is cut into a straight fit for an effortless look. Re/Done chose only our best vintage denim to remake into this summery silhouette. 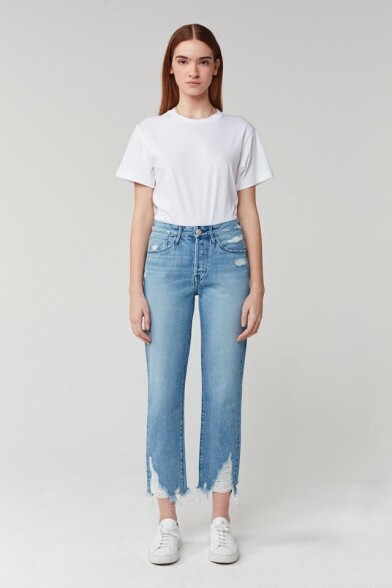 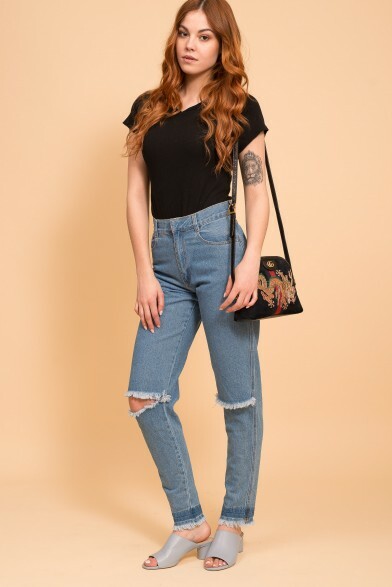 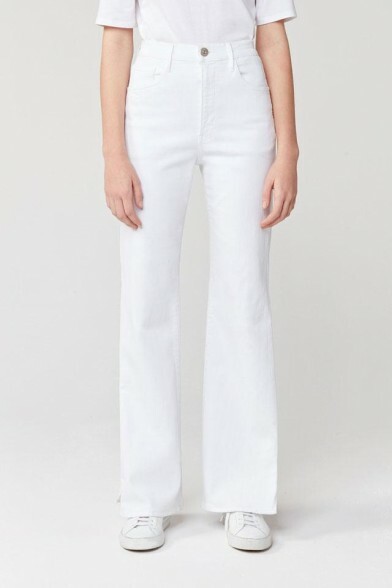 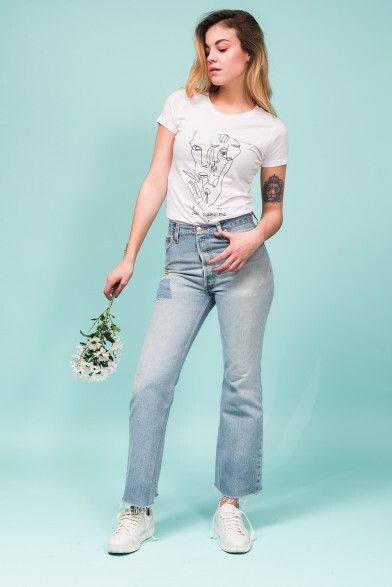 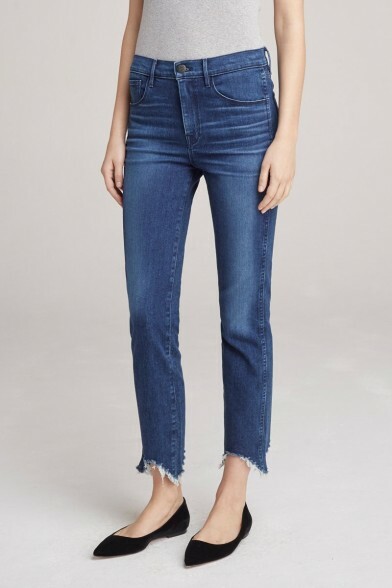 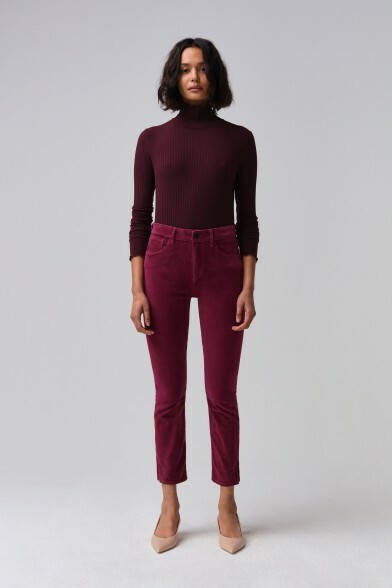 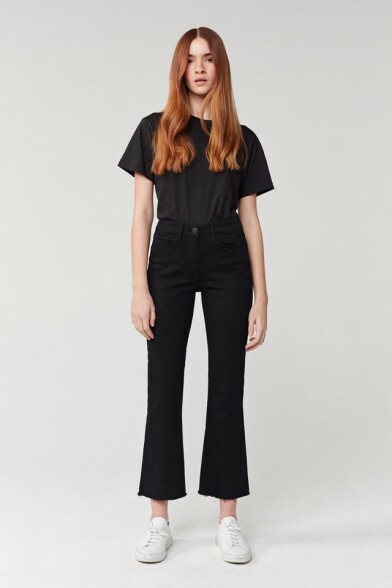 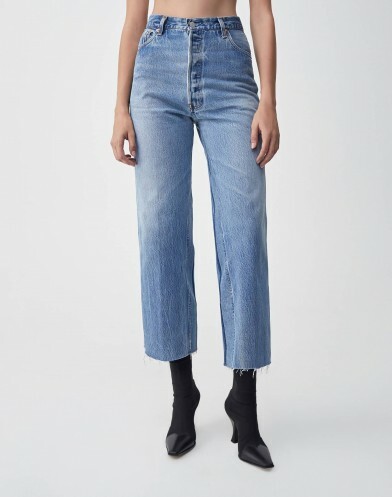 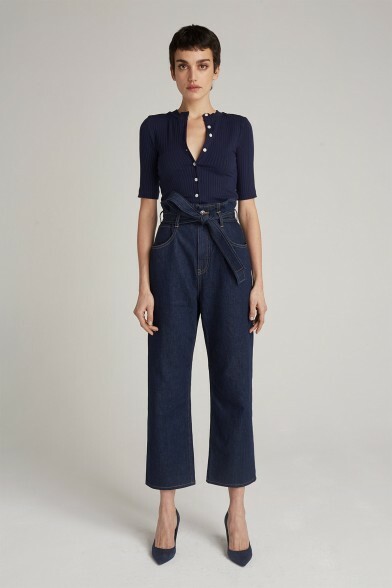 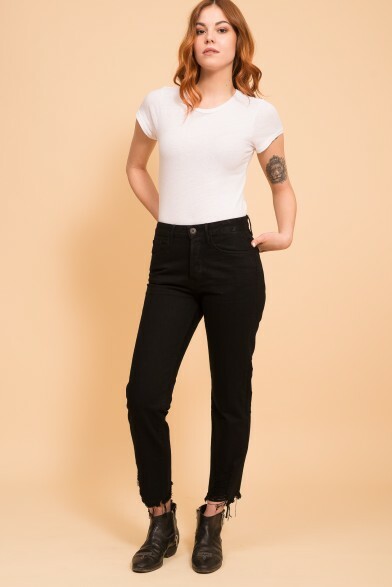 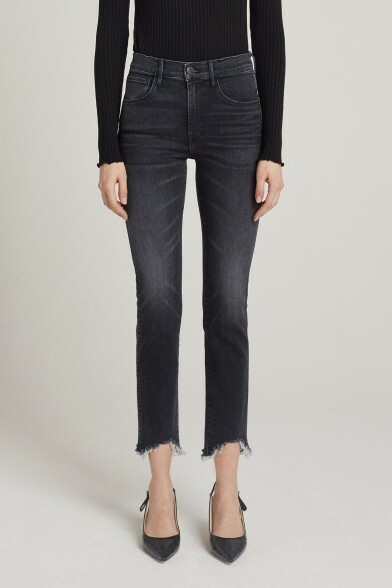 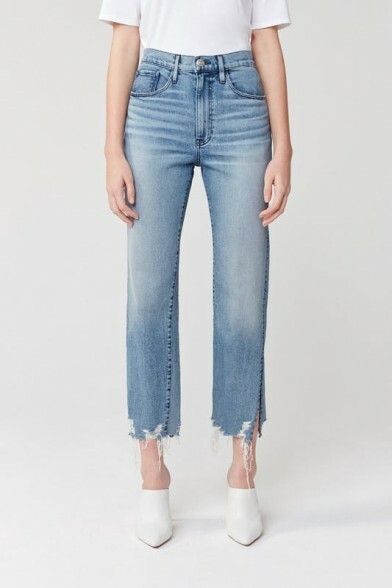 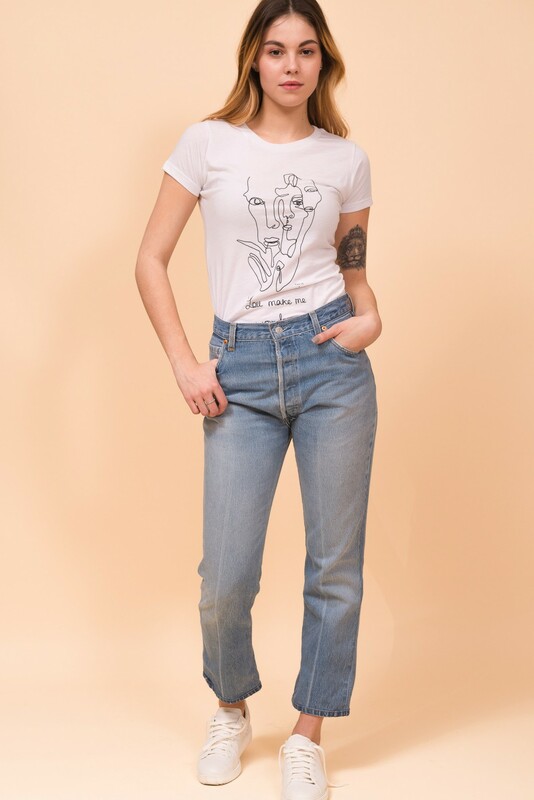 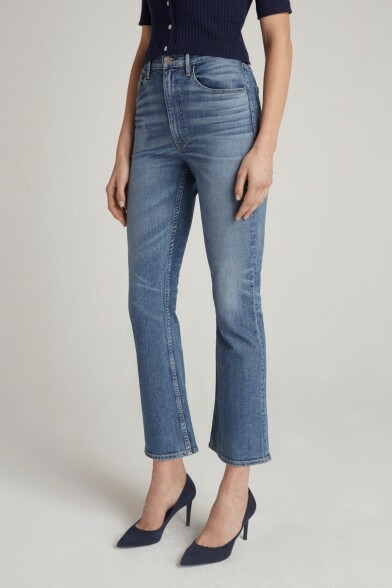 Please note, this jean has an inseam of 27 inches/ 68.5 cm and is intended for our customers 5'5"/ 165 cm and above, so as to show just the right amount of ankle. 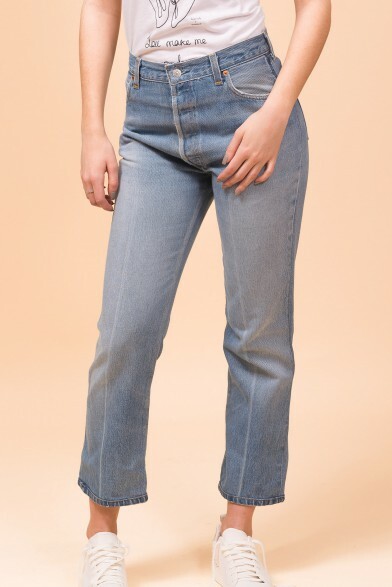 Please note that every jean has its unique serial number located on the inside pocket. 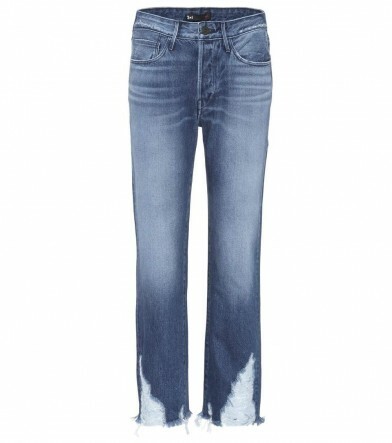 The colour and rips could vary from one model to another. 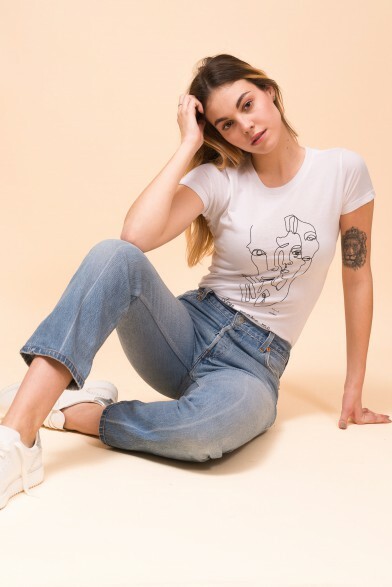 Here paired wiht Champion crewneck.